The Monte Carlo table is beautifully constructed of natural travertine of predominantly beige colouring with a feature band of tan and dark brown. 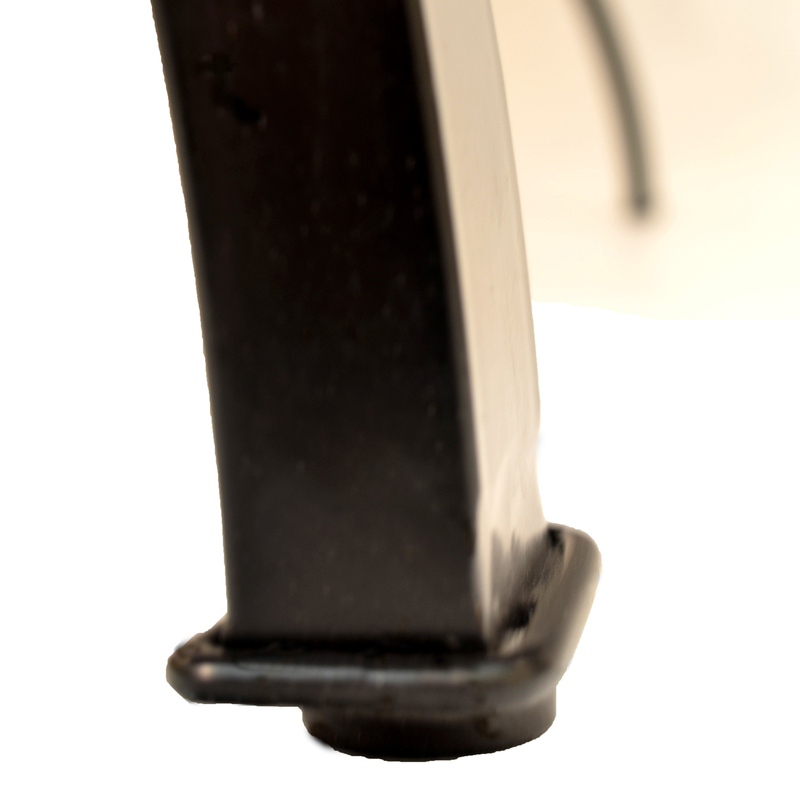 There is a parasol hole with a stone cap. 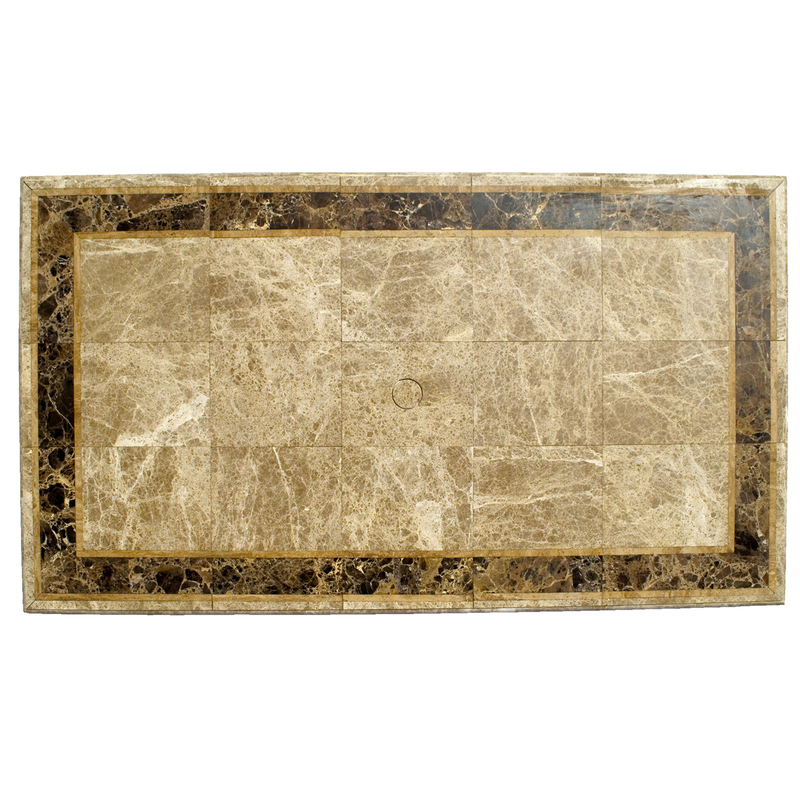 Natural stone, by its very nature, has fissures and crevices which are filled with a compound during manufacture, before being grouted and polished to a perfectly smooth finish. 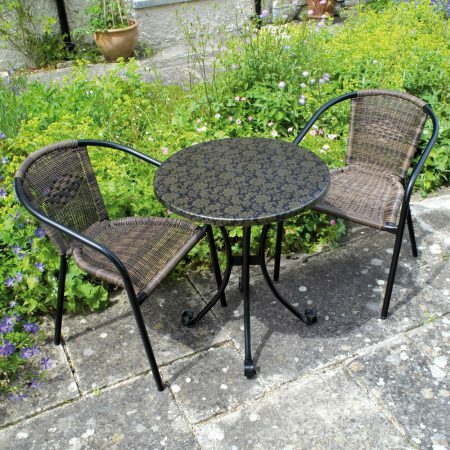 Note the lovely intricate shape of the table rim. The sturdy legs are of steel, powder coated black. 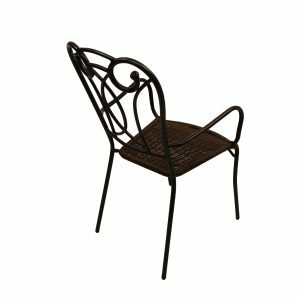 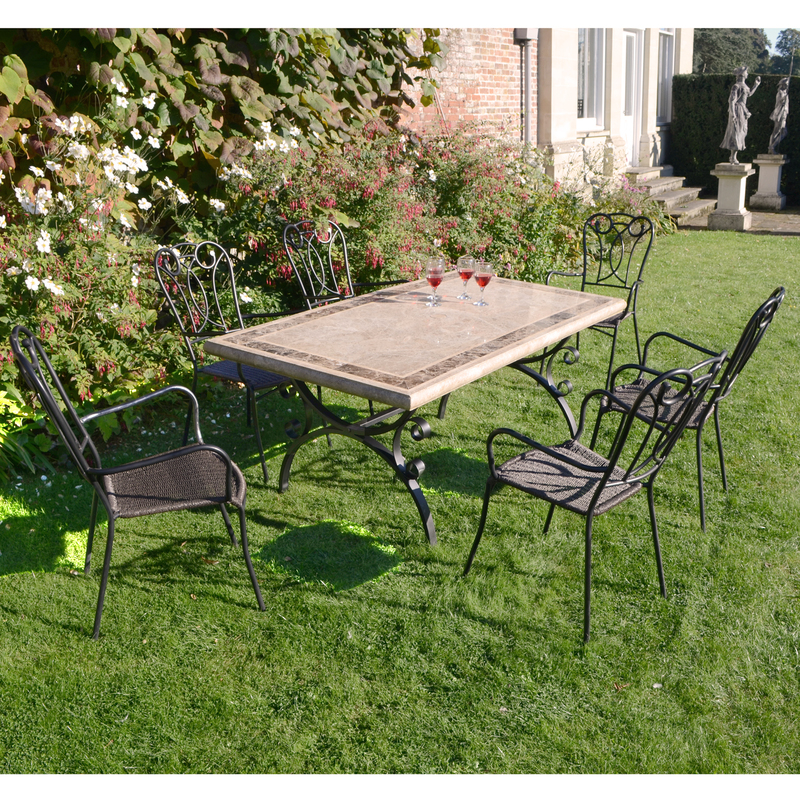 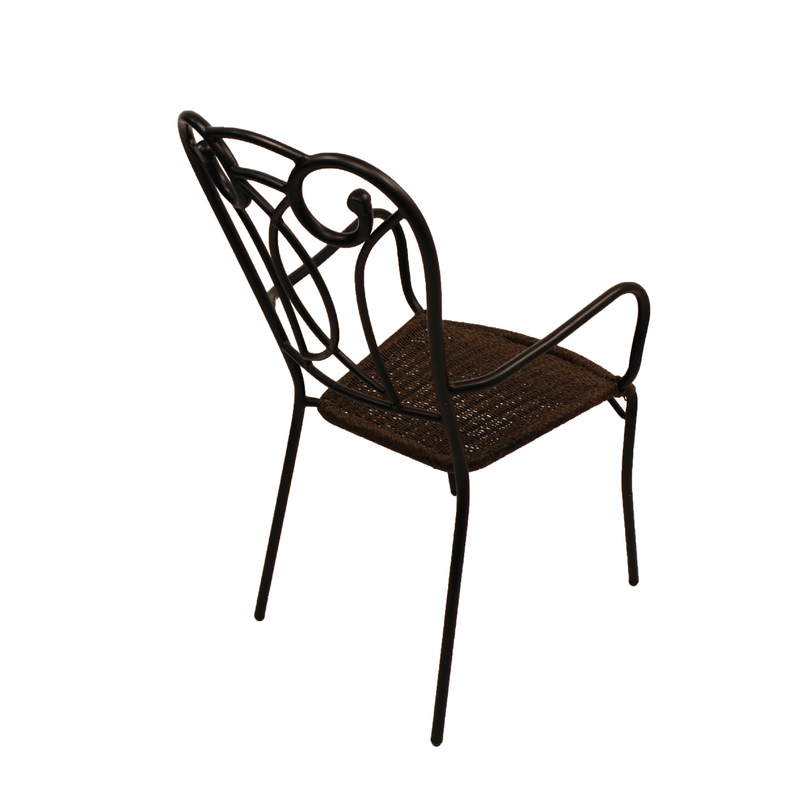 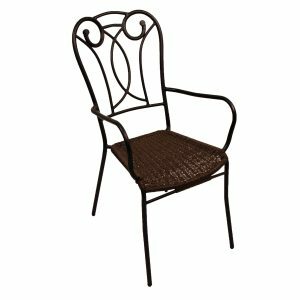 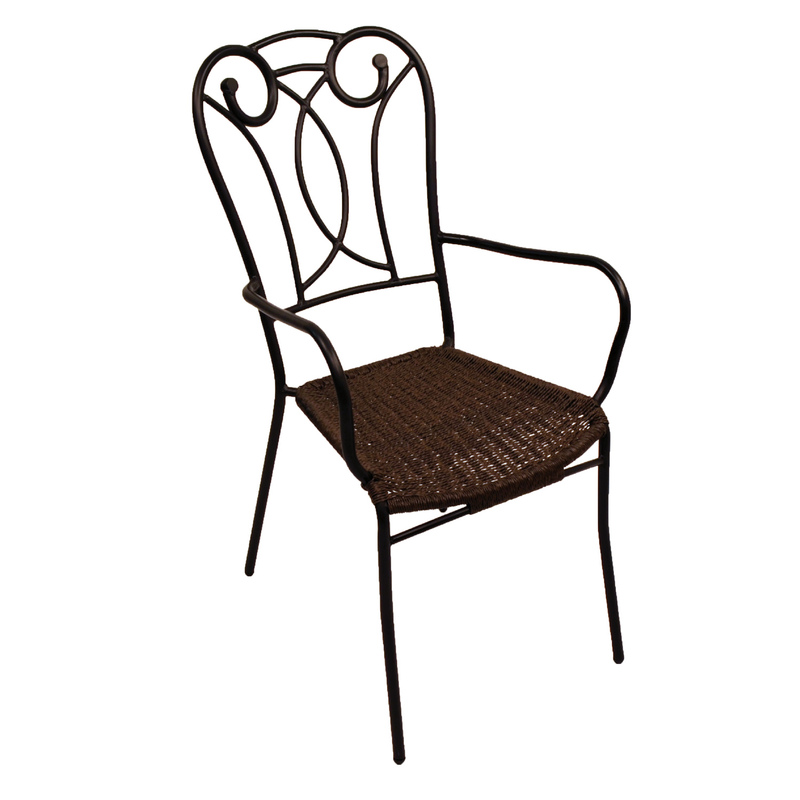 The elegant Verona chair sits well with the table, the chairs stack and have hand woven weather resistant seats. 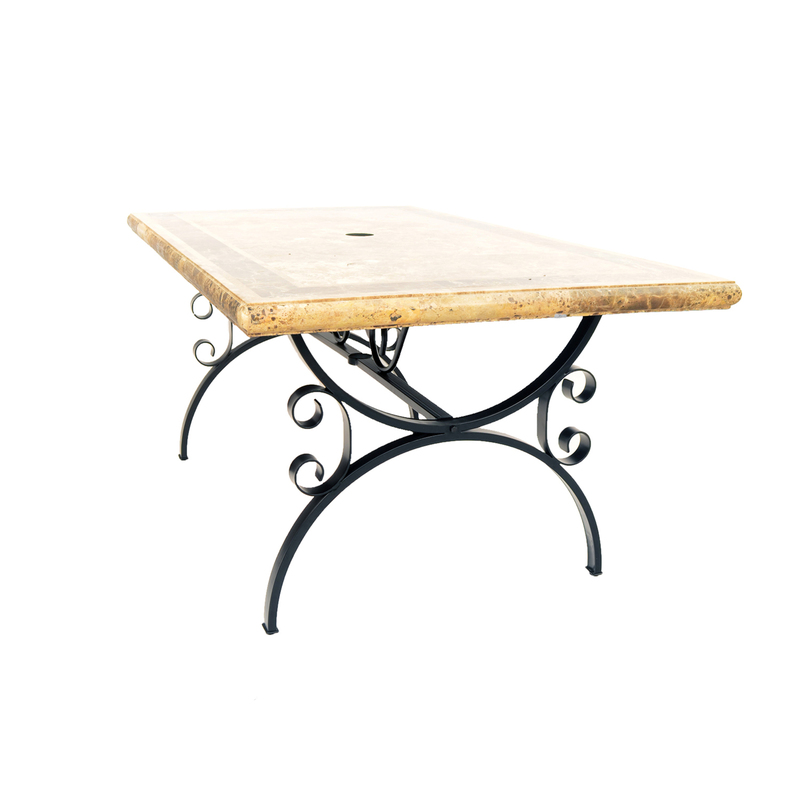 Our Monte Carlo 171x97cms.rectangular natural travertine marble top table is beautifully crafted in predominantly beige with an attractive tan and brown feature band. 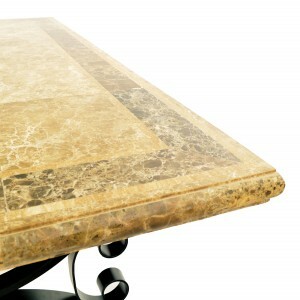 Each table is constructed using travertine with a very natural appearance, hand laid in mosaic fashion, filled and polished. (Natural travertine has fissures and crevices which have to be filled to give a smooth and even surface.) 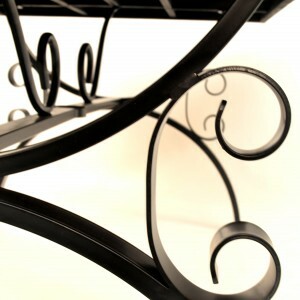 The sturdy steel leg assembly is powder coated black. 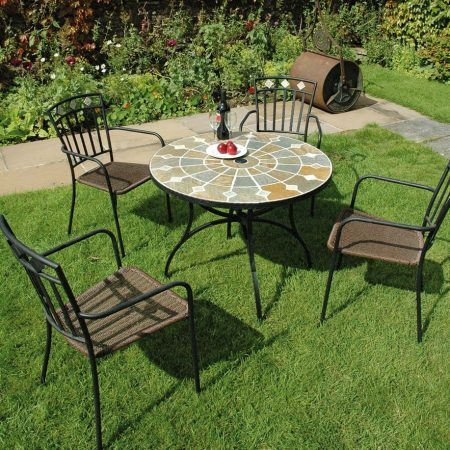 This set will look great for dining outside on the patio or inside the house and the table boasts an attractive shaped edge and will accommodate a parasol. 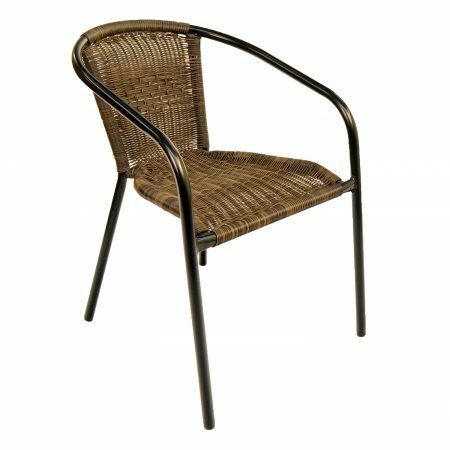 The 6 Verona chairs stack and have twisted effect resin weave wicker to the seats which are contoured for extra comfort. 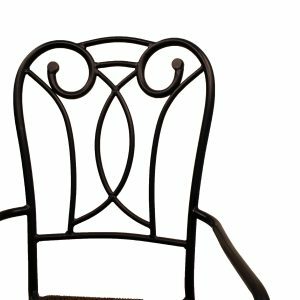 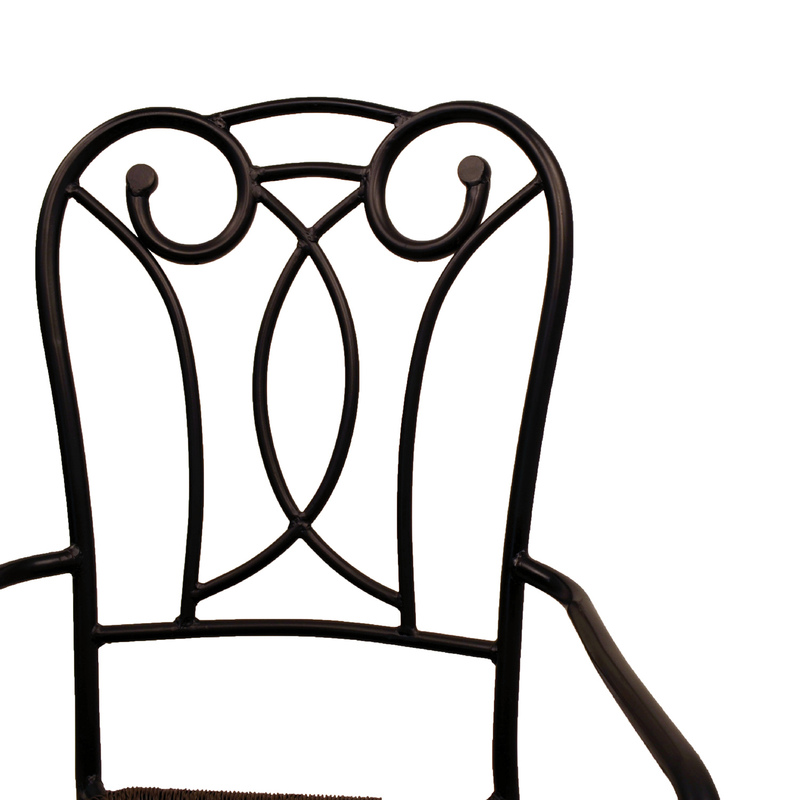 The chair frames are of steel, powder-coated black.